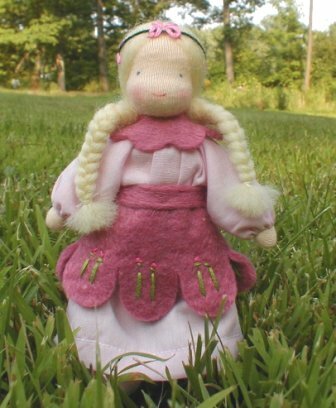 A sweet, warm Waldorf doll filled with fluffy wool stuffing. She is wearing cotton velour clothing. A 4-1/2" flexible doll.